We provide tutors, classes and bands for your enjoyment. Music –two local bands and one from South. ♫ Lee Patersons' Band: A lively trio, Lee and his band play in the St Magnus Centre regularly for Monday Dancing. ♫ Kirkjuvagr Ceilidh Band: A lively, popular family band who have worked with us for many years. ♫ Robert Whitehead and the Danelaw Dance Band: Robert and his band, from south of the ‘border’, delivers superb dance music. Fun and Simple Ballroom & Latin Sequence Dances with Lesley Gunn of Thurso, Come Dancing! Reels & Jigs should be fun and sociable which is what we aim for when tutoring classes in Blackburn and Orkney. “Kirkjuvagr Ceilidh Band’s fiddle player and UKA cert teacher of Highland Dance enjoys any opportunity to share her love of dance”. “Daisy and Neil are a duo who research and teach traditional and popular dances from Orkney’s past”. “Dancing should be fun", is the motto when Mabel leads a dance class. Each evening 7 for a 7.30pm start, finishing at 11.30pm. Two bands playing each evening. Here are your daily choices ……. Lesley Gunn: Simple Ballroom & Sequence Dance in the St Magnus Centre. Neil and Daisy Leask - Popular Dances from Orkney’s Past in the Picky Centre Arena. Stuart & Carol Hay – Set Dances – in the Picky Centre Arena. 7.30 – 11.30pm – Opening Ceilidh in Picky Centre Arena. Music by Lee Paterson’s Band and Robert Whitehead & the Danelaw Dance Band. Dawn Johnston – Dancing in the Isles in the Picky Centre Arena. 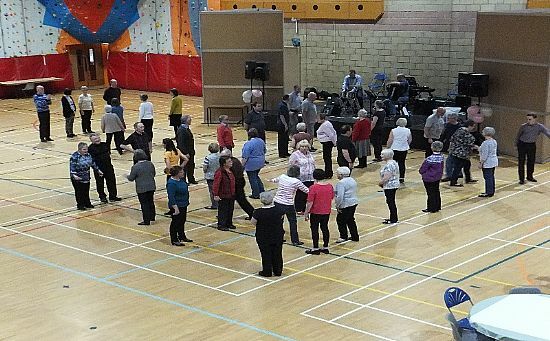 7.30 – 11.30pm– Saturday Ceilidh in Picky Centre Arena. Music by Kirkjuvagr Ceilidh Band and Robert Whitehead & the Danelaw Dance Band. Mabel Besant – Ceilidh Dancing in the Picky Centre Arena. 7.30 – 11.30pm – Closing Ceilidh in Picky Centre Arena. Music by Kirkjuvagr Ceilidh Band and Robert Whitehead & the Danelaw Dance Band. All classes have live music, except for Lesley Gunn, who uses her own CDs. The Pickaquoy Centre supply a licensed bar. Only alcohol purchased on the premises can be consumed at our events. Note: it is against Licensing Laws to bring your own alcohol into the Picky Centre. There will be no suppers served at the evenings Ceilidhs. Light refreshments will be on sale at the bar in the form of tea, coffee, sausage rolls, biscuits & soup. Please support this new facility on offer. PLEASE GO TO OUR ‘ONLINE LIBRARY’ TO DOWNLOAD THE BOOKING INFORMATION AND BOOKING FORM.